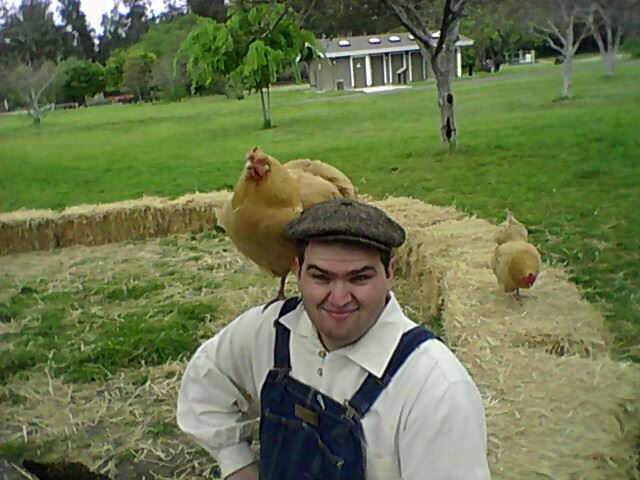 Our customer Phillip, seen here with his buddy Sunshine, volunteers his time at Ardenwood Historical Farm in Fremont, California. This historical site is still a fully functional farm and operates using the same equipment and methods as when it was established in the 1850’s. Over 99 species have been spotted around the park’s orchards, gardens, fields and groves. All these birds keep Sunny, previously a house pet, company when Phillip and other volunteers aren’t around. Make sure you stop by the farm for a tour, lead by costumed docents, or to purchase fresh produce grown on the farm. The farm itself is open year round and is always in need of volunteers. If you’re interested in visiting, volunteering, or just to learn more about the farm, please visit their website here. Thank you for sharing your photo, Phillip. Do you have a photo or story you would like to share, then please contact us.